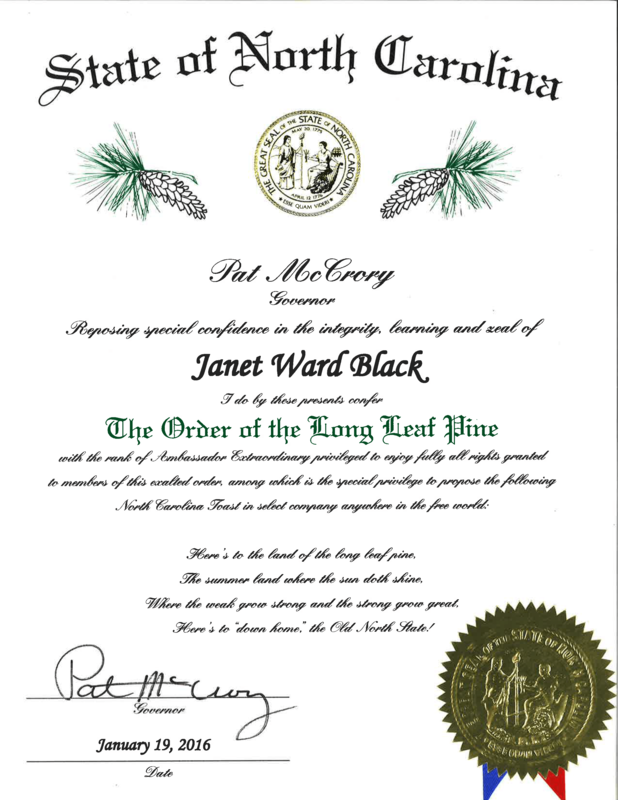 We are so proud that Janet Ward Bl ack was named yesterday by Gov. 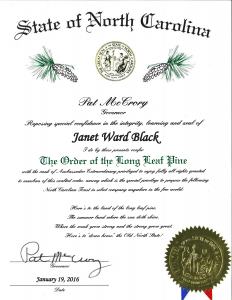 McCrory to the Order of the Long Leaf Pine! Here’s an article from the Salisbury Post about the presentation, which occurred during Janet Ward’s mother’s 89th birthday party in Kannapolis. It came as quite a surprise to Janet Ward.